At a certain point growing up, I went through quite the soul-sucking obsession—and with two men, nonetheless: Rogers and Hammerstein. That’s right, cheri. I saw them all—and I did it more than once. 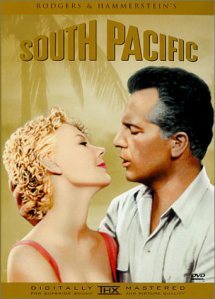 A particular favorite was the wildly exotic, knee-slapping but heart-breaking romance, South Pacific. The film’s bright colors, bombshell leading ladies, and clear Pacific waters swept me up & carried me away—all the way to Bali Hai. Love at first sight with a baritone Frenchman? Yes, please! 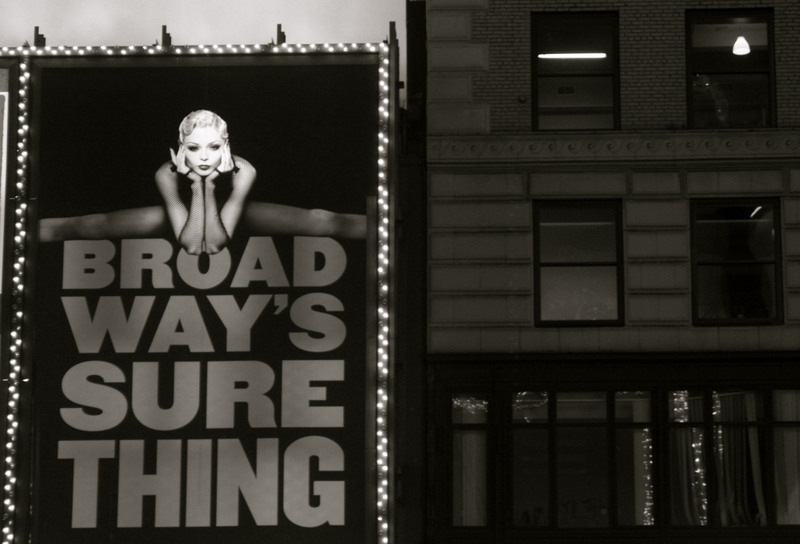 To cap it all off, during a stay in the City last fall I saw it on Broadway. The production was charming—a hint hokey but still sweet. My theatre buddy, however, did not share my doey-eyed opinion. After sleeping through the performance, she hated it all the way back to the hotel. So naturally, at the first available opportunity, I sat her down for a force-fed viewing of the original film. This couldn’t have been the same story I watched over & over as a youngster. Now it was me who was falling asleep—we never even made it to the love-saturated grand finale in the frenchman’s back lawn! There were scenes—I am telling you, cheri, I had no memory of this before—shot entirely beneath a fluorescent film. First, the entire screen goes pink. Before you know it, singing militia men and the ocean-front scenery behind them have turned blue, orange, yellow, red, and so on, until the colors fade slowly back to normal, taking with them any shred of credibility the film might have previously possessed. It was all such a surprise. How had my opinion changed so drastically? What else captivated me in those days that now I would see in a wholly different light—not to mention color? The answer is a-plenty. It boils down to what my dad would call: the Big Mac factor. For years, he held that iconic burger in the highest of esteem. He knows all the words to the commercial’s theme song (Two all beef patties, special sauce, lettuce, cheese, pickles, onions on a sesame seed bun), and can describe, in detail, the makings of a perfect Big Mac: “When you get a hot one—then it’s real good.” “And the sauce! I love that sauce.” But in more recent years, he’s yet to find one to satisfy the burger he’d built up in his head. Now, they’re cold, or too thin—something isn’t right. It’s the Big Mac factor. In life, there are certain ideals that we cling to. Childhood memories. Last summer. Last year. That brand of mascara they took off the market. A canceled sitcom. A favorite pet. A first love. It’s the perfect fill-in-the-blank (cup of coffee, pizza, burger, date, kiss) that can never be topped. It’s a syndrome, and we’ve all got it. And society encourages it! How often have you been told, “You never get over your first love.” Try being thrown into a chance situation with him a few years—and added brain cells—down the road. You’ll get over it! As I think over my own Big Macs in life, I wonder, do we cause our own disappointments with too great of expectations? After years of remembering just how good that burger was, do we build it up so high that it’s no longer in reach? Or, is it simply living & learning that creates this shift in perception? Perhaps the ideal, well, it wasn’t so ideal all along.